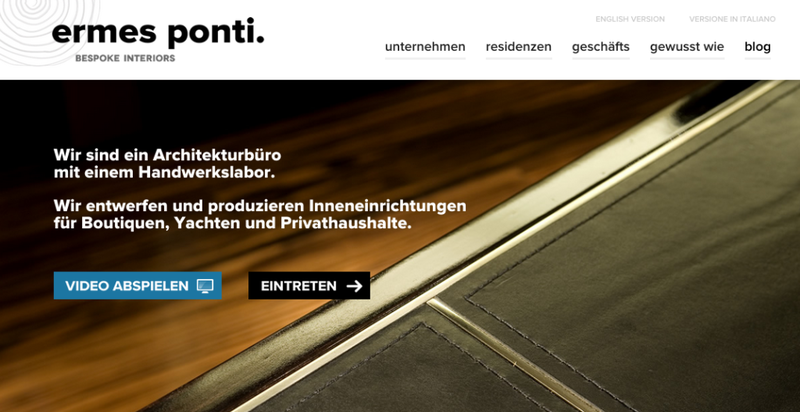 Welcome to Germany, on our company website! 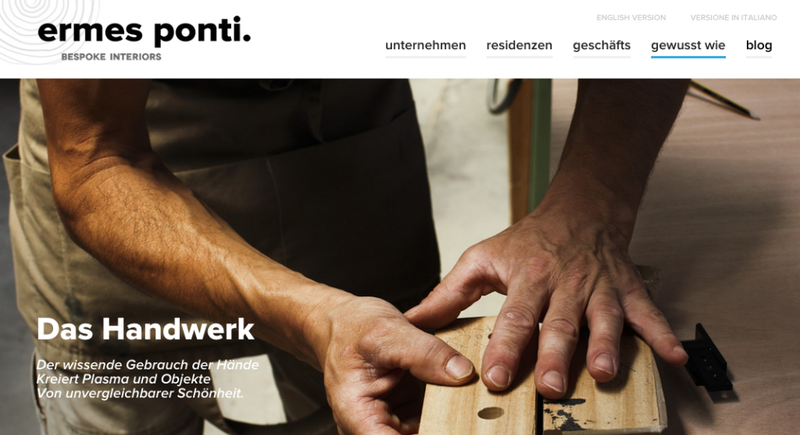 We’re happy to announce that the ermesponti website now speaks German, besides Italian and English. We are truly committed to worldwide work, as our list of references can tell you. As the world becomes smaller and smaller, the ermesponti method is more and more known, and we’re proud to bring the Italian expertise of our teams all over, from Milan Montenapoleone to New York to Shanghai. As to our German friends, we thought it necessary to add to our company website the possibility to speak with them in their own language. We are deeply thankful to our business partners in Germany for the appreciation they showed towards our work in more than one occasion. 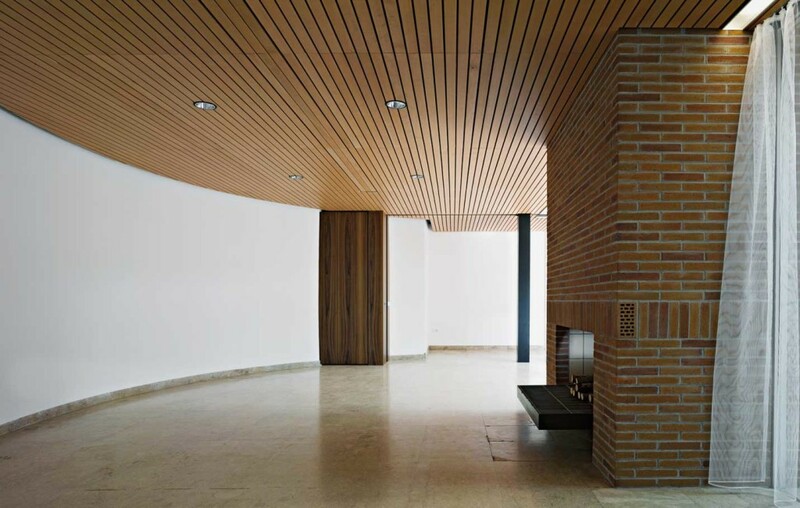 We’re talking about the interiors of the German Pavillion at the 2015 Venice Architecture Biennale, where ermesponti was chosen by the German Architects studio Ciriacidis Lehnerer for the faithful interiors reconstruction of the original Bonn Kanzlerbungalow, in the premises of the Venice Biennale. 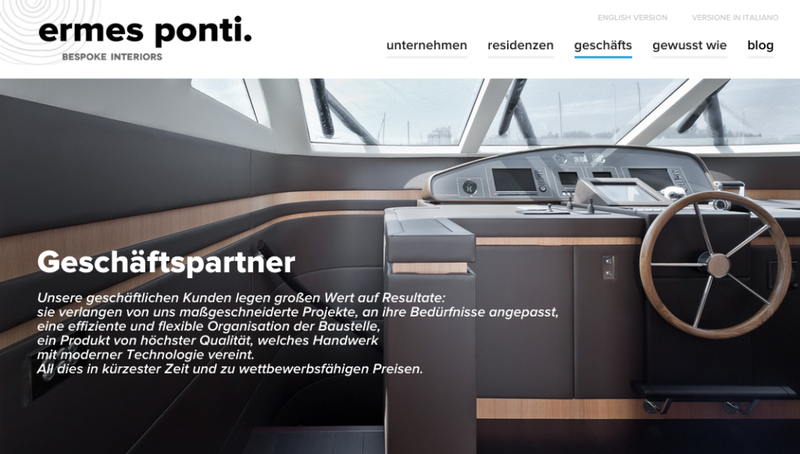 Or, different story but equally gratifying for us, when the top German luxury brand Mont Blanc put us in charge of a bespoke interiors retail project, after seeing – during a meeting in Hamburg – how our team handles all parts of a project, starting from handmade prototyping. Of course we would like to open up our conversation to French, Russian, Chinese, Portuguese as well… but, as we all know, quality takes time, and we care for quality above everything else! Previous PostWhat does ermes ponti do? One picture tells the storyNext PostWe share the same idea of beauty as the Fondazione Italia Patria della Bellezza.